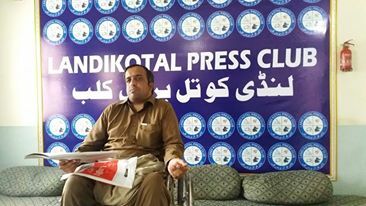 LANDIKOTAL: A disabled resident of Mirdadkhel in Landikotal has appealed to the Khyber Deputy Commissioner and tribal Jirga to help him get justice. Speaking to a news conference held in Landikotal press club, Rahim Shah said that his lower body had been paralyzed due to a spinal injury in a traffic accident. he said that he was jobless and he has a property dispute with hiss with his elder brother, late Qari Said Alam and wants his share. 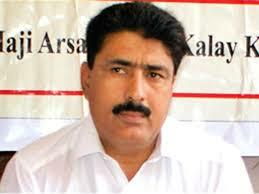 “ I had filed a plea against Said Alam in Landikotal tehsil administration so that I could get my right”, said Shah. The then Assistant Political Agent gave the case to a tribal Jirga but the dispute is still waiting to resolve”, Shah expressed. The case delayed when his brother passed away, he stated. Adding that he wanted to resolve the dispute with his Qari’s sons through legal jirga so that he could afford his family bread and butter. Rahim Shah appealed to the deputy commissioner of Khyber and the tribal elder to help him provide justice to get his legitimate share with his brother sons.